Search the class schedule online for the current list of classes being offered. Printed class schedules are available for $2 at the Fullerton College Bookstore located at 330 East Chapman Avenue and at the Library Learning Resource Center, Circulation Desk (cash & check only). Fullerton College publishes a new catalog every year. The information published in the catalog is effective for the academic year beginning with the fall semester and concluding with the summer intersession. This catalog is effective Fall 2016 through Summer 2017. Every effort is made to ensure that the course information, applicable policies, and other materials presented in the Fullerton College Catalog are accurate and current. In the event a correction or update is warranted, the electronic catalog will be updated. 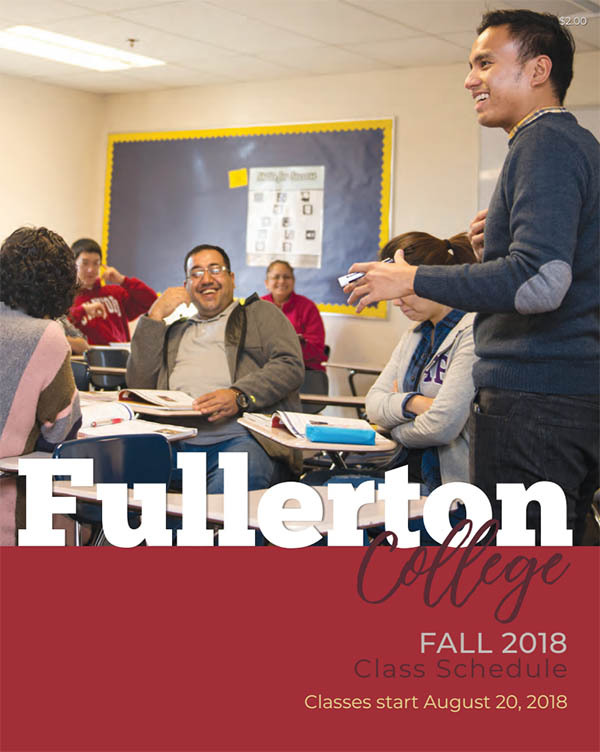 The requirements for degrees, certificates, and general education may change during the time a student attends Fullerton College, and these changes are reflected in the catalog. 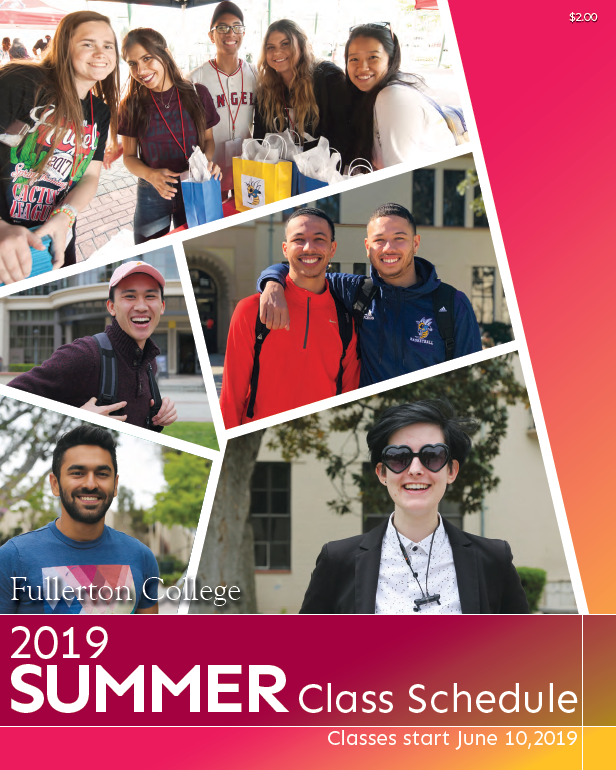 Catalog rights are established when a student first takes classes at Fullerton, and they are maintained through continual enrollment at the college. These rights protect students from being held responsible for changes made to their academic programs in the years that follow their initial enrollment. 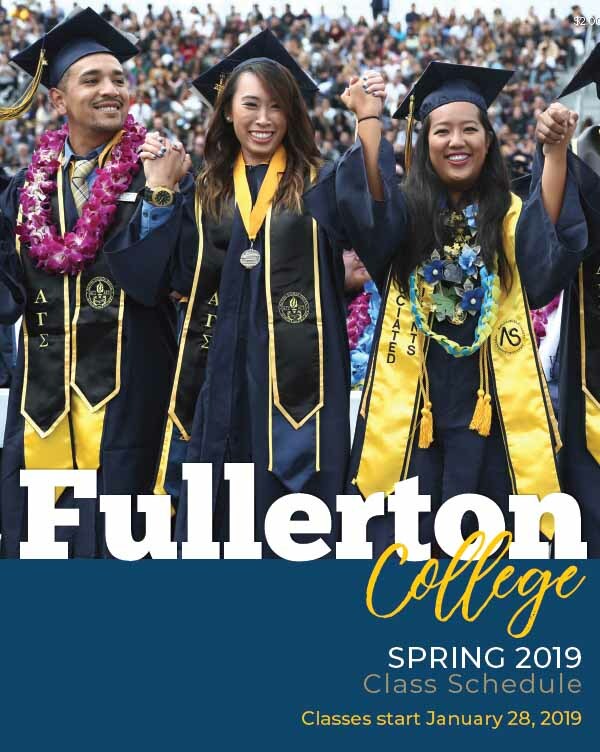 Students maintain catalog rights by maintaining continuous enrollment at Fullerton College — that is, by receiving a grade of “A,” “B,” “C,” “D,” “F,” “CR,” “P,” “NC,” “NP,” “RD,” “W,” or “I” on their transcripts for at least one course per academic year. Documented military or medical leave during the academic year will not be considered an interruption of enrollment. This policy supersedes all previous catalog rights provisions and applies only to programs at Fullerton College.